There’s a chef/food writer for Food and Wine I just love. Her name is Grace Parisi. Her recipes are fantastic (I’ve made many), and she makes food you want to eat. Sounds silly I know, but often flipping through cookbooks and magazines I find it all interesting to read, but there are few dishes I feel like cooking. It’s a sad realization when you buy a new cookbook, that at first glance looks fantastic, but you soon find there’s nothing really worth the trouble of making. These cookbooks just join the others on the shelf to collect dust. That’s why I always say if you make one or two great dishes from a cookbook, it’s a good one. I guess that holds true for cooking magazines, too. I came across this Grace Parisi recipe online when I was looking for a fun dessert to make for a group of teenage girls on a Friday night. I’d never made a spoon cake. Fresh fruit filling topped with a rich vanilla cake-like batter, I thought “how can this be bad?” Strawberries are in season for at least another couple of weeks, and soon the bushes at the farms will be bursting with blueberries, raspberries and blackberries. It’s the perfect season to make this. I’ve already planned my next spoon cake will be peaches and raspberries, following the same steps as this recipe, there are so many combinations of fruit you could make. 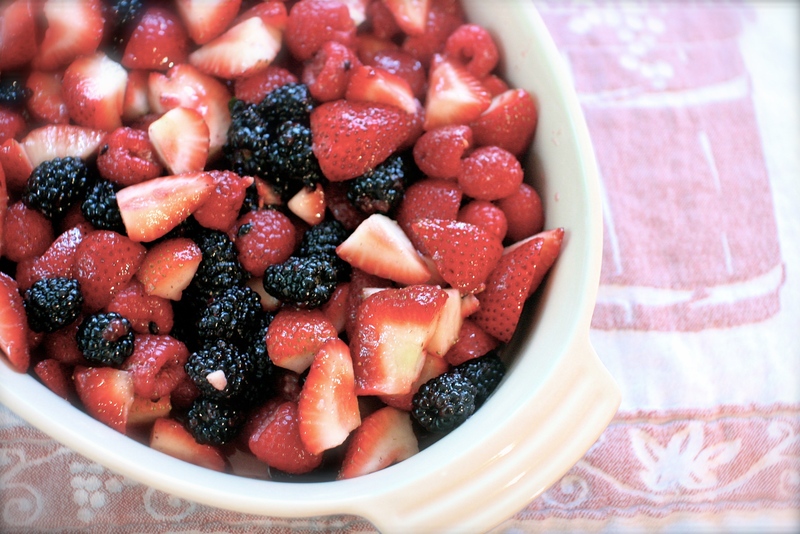 To make the berry filling, combine all the ingredients above in a large mixing bowl. 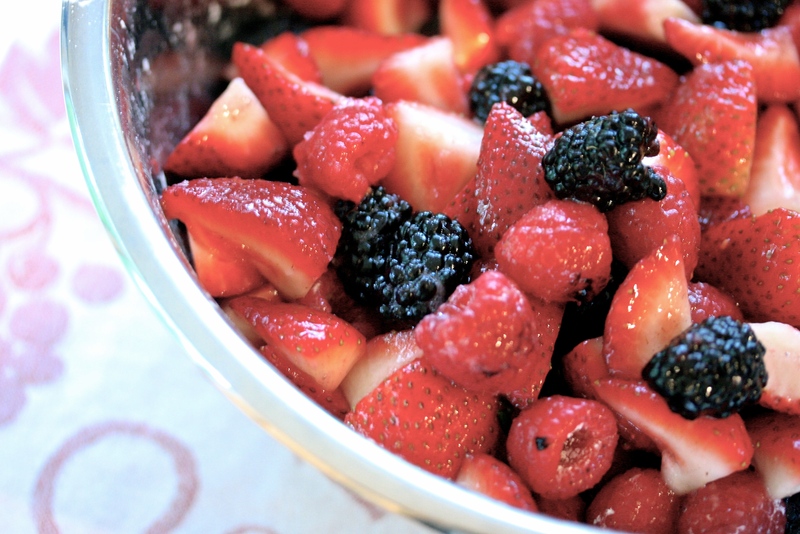 Set aside for about 15 minutes to allow the berries to macerate and release some of their juices. In a large bowl, combine the sugar and flour with the lemon zest, baking powder and salt. In a separate small bowl, beat your eggs with the milk and vanilla. Whisk the egg mixture into the dry ingredients until properly combined. Stir in the melted butter. 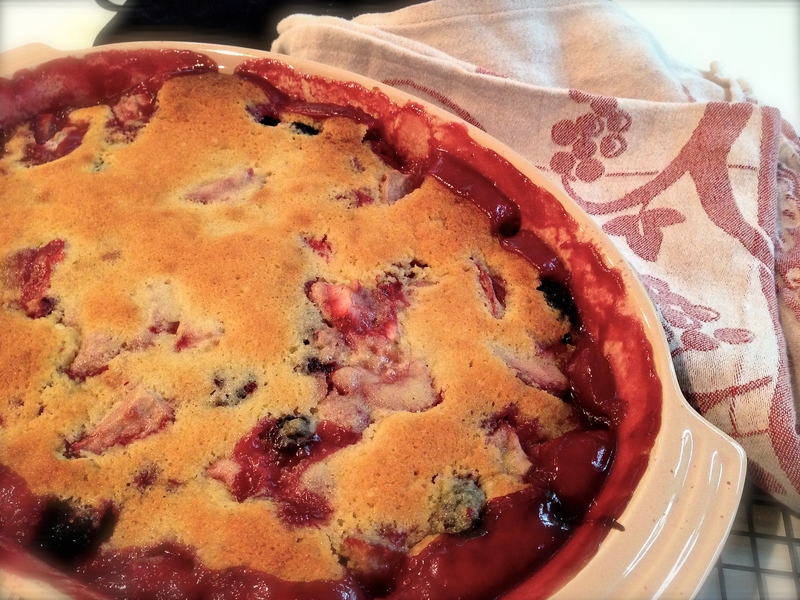 Pour your berry mixture into a large casserole or baking dish – about 9×13 in size. 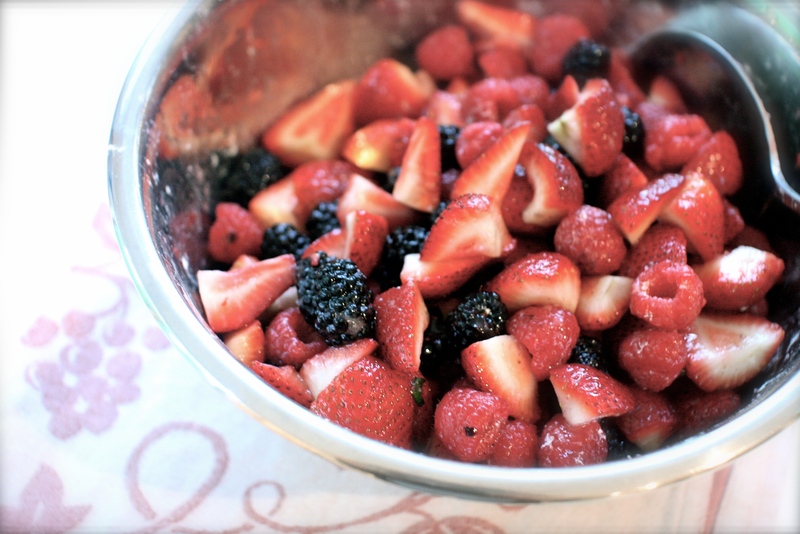 Spread it out evenly and dollop the batter over the berries, leaving a few gaps as you go. Place in your preheated oven and bake for about an hour until a cake tester inserted in the cake comes out clean and the berries are bubbling. Remove from the oven and allow to cool for about 45 minutes. Serve with either whipped cream or vanilla ice cream… or both!